As the number of smartphone users is all set to cross the 5 billion mark by the year 2019, there is no doubt that the surest way to reach the audience is through their mobile. 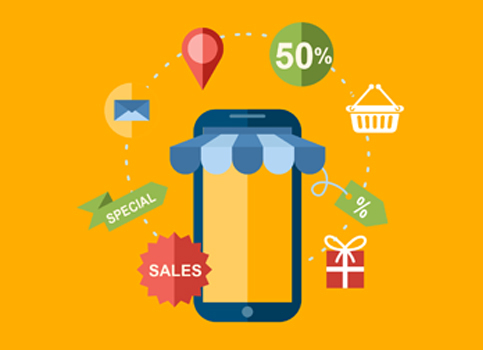 Mobile marketing has surely arrived with a loud bang, and is here to stay and grow for years to come. However, being a relatively underexplored and all set to be over-abused field, it is important to plan a mobile marketing strategy that differentiates your product from the rest, right from the start. Do not follow the herd – an out of context ad about slimming tablets as you enjoy a meal at a high-end restaurant is definitely a waste! Leverage these 5 ways to maximize your mobile marketing strategy and reach out to the audience when they are most likely to act on your cue! With an average user having an attention span of less than 8 seconds, how do you catch their attention in a snap? Quite simply – tap the potential of freebies, discounts and promotions. Everyone loves a good deal and it will surely make the users notice your brand and if you have targeted the right audience, many will follow up the advertisement with positive action as well. This brings us to our next point, choosing your audience well. This step is the foundation of any successful marketing campaign, more so for mobile advertising to ensure an experience that is mapped to the preferences of the target audience. For example, knowing your audience in advance can help you collect demographic data that will help design a better user experience. Think location based advertising, our next point. Geo-targeting your audience is the future of mobile advertising. Geo targeting allows you to send personalized messages to users based on their location. Using location based services can help you reach out to the audience hyperlocally, resulting in better conversion rates, which is very useful for businesses that are looking for customers in a certain area. Do not underestimate the power of keywords in mobile advertising. Keywords are not just important while optimizing content for the web – if used strategically; keywords can boost the reach of your mobile advertising. Make sure you use short keyword phrases and only few relevant ones. Picking the right advertisement format for your mobile ad campaign is pre-requisite to its success. While users do expect ads as a part of the mobile experience, they do not want to see annoying ads that hold no relevance. For example, a small banner ad in a related app will not annoy users but a full page ad for a clothing line in a financial news app will certainly annoy them. Even when you choose the video format, do include a skip button so that users can jump over if they like. This prevents users from getting irritated and also helps your analytics. Making these 5 points a part of your mobile advertising strategy will help increase its efficacy manifold. However, do not forget to include a call to action or a contact number (if applicable) in your advertisement, helping users know how you want them to react. This entry was posted in Mobile Advertising, Mobile Apps Marketing and tagged mobile marketing, strategy. Bookmark the permalink.